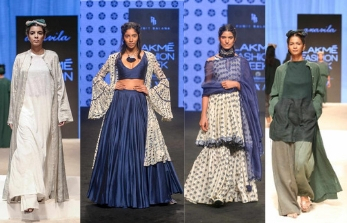 Breezy linens, relaxed silhouettes, soothing palettes and a pot full of creativity – Lakmé Fashion Week has a whole lot of semi-formal goodness in store for you this summer. 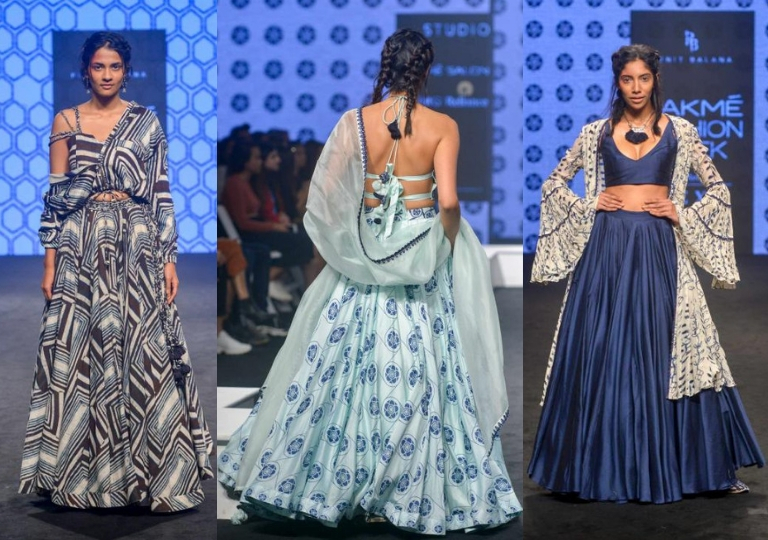 Take a look at our selection of Indian outfits from recently showcased Summer/Resort collections that you can wear to work, intimate gatherings and those smaller pre-wedding parties. With Karisma Kapoor as the showstopper and a slew of impressive outfits, the show was an absolute stunner. We love the pieces for their versatility, wearability and a high quotient of contemporary chicness. 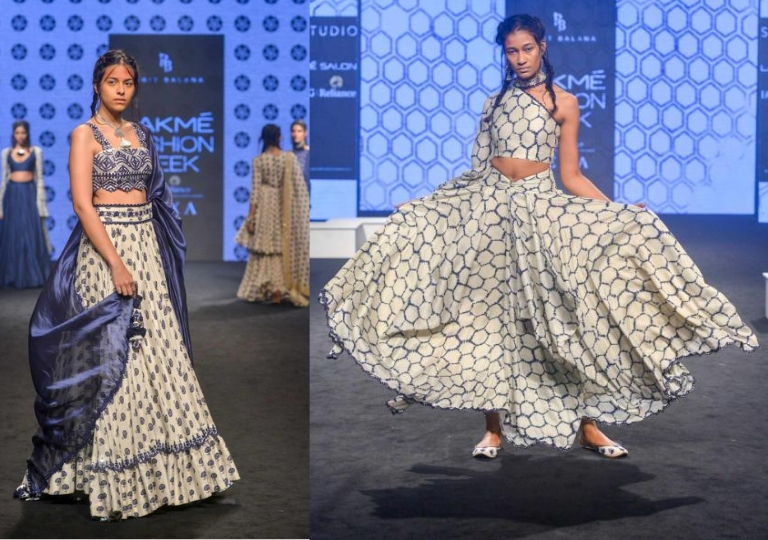 New-age lehengas | Call it a modern lehenga or call it an ethnic skirt-crop top set, this outfit makes us wish for more of those light midday events. Besides the rich block prints, the styling of the blouses makes the collection a winner. The bell sleeved cape on the top right is the perfect addition to the outfit, and we reckon you can easily mix it with other pieces in your closet. 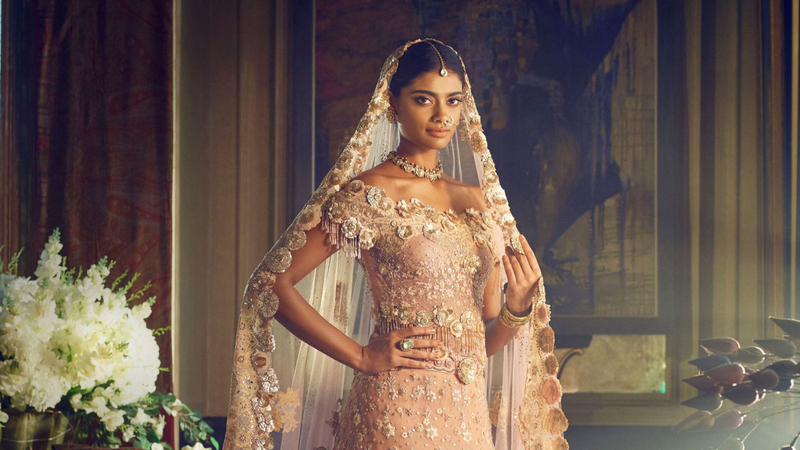 The traditional sharara revisited | On days when you want to wear that absolutely fabulous chunky silver necklace and a stack of bangles, a spectacular salwar-kameez is what you need – and in its avatar of a sharara and short kurta with a sheer dupatta, the outfit becomes all the more lovable. 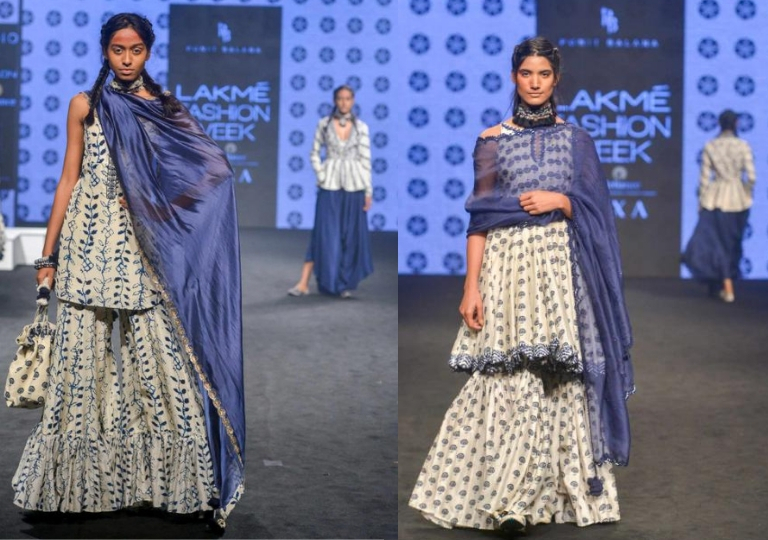 A touch of Indo-western | The feminine silhouettes of these two Indo-western pieces coupled with beautiful necklines radiate subtle sensuality. 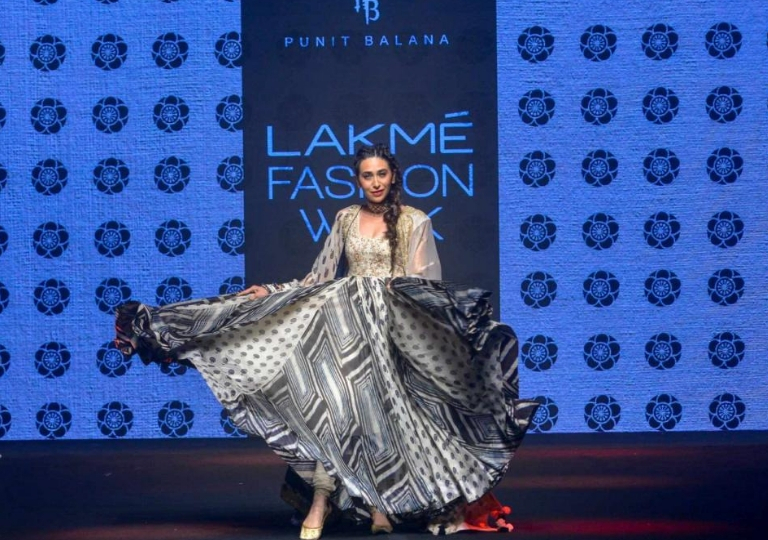 Karisma Kapoor’s dual-dupatta anarkali | A brilliant print and endless flare in a fabric that flows like a breeze – this anarkali by Punit Balana is indeed a showstopper. It being worn with two dupattas is something to note. Karisma’s hairdo complements the attire beautifully. 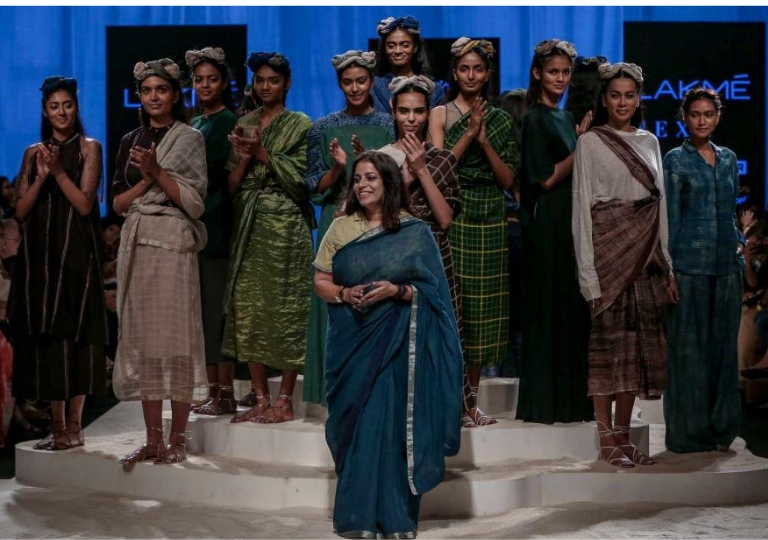 Anavila Misra, known for her styling with linen, chanderi and a predominantly earthy palette, has come up with a fine summer collection that echoes the same features and sufficient novelty in terms of drapes and silhouettes. 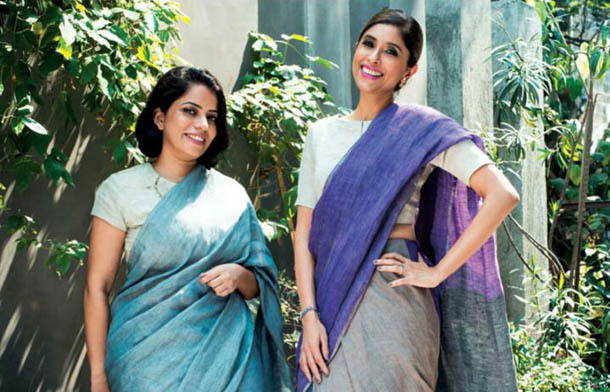 Worn like a peasant woman | These sarees seem like just what the sultry Indian summer demands of us. 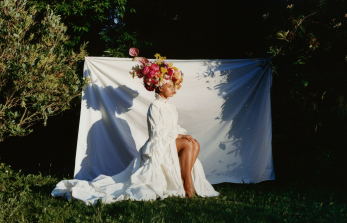 They are chic, soothing and very interesting in how they are styled – you could try for yourself this peasant woman drape with a slouchy dolman sleeved t-shirt – it might turn out to be your most fun summer wardrobe experiment. 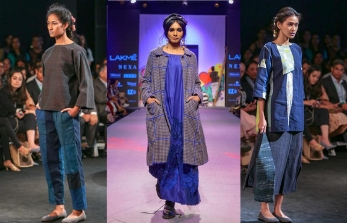 Relaxed layers | Wide legged pants (or palazzos, if you prefer to call them that) are not going anywhere – only this summer, you can alternate your long kurtas with shorter ones. 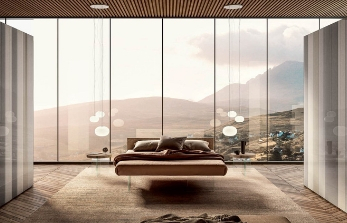 The monochrome palette is very soothing to the eye and the long capes create a regal yet effortless vibe. Which one do you pick for a favourite? 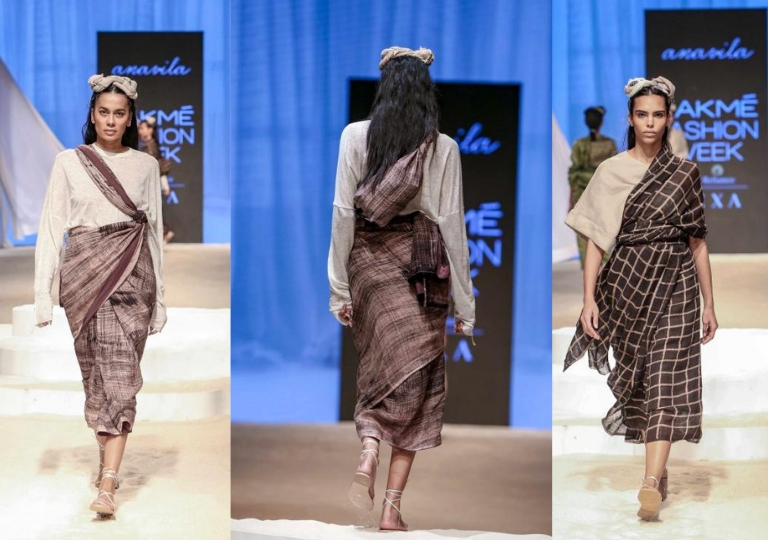 And the big question: would you wear the Anavila saree peasant woman style?